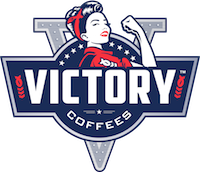 Victory Coffees delivers award winning coffee (whole bean, ground, or single cup pods) to your home or business every month. We pride ourselves on being a veteran owned and operated squadron that stands behind our quality and customer service. Trust us when we say a good cup of coffee was often the best part of our day. Let us share that with you. And yes – it tastes AMAZING. Simply decide from our award winning selection of organically grown/fairly traded international blends of coffees - whole bean, ground, or single cup pods and how much you drink each day. THAT’S IT! Try us for a month. You will love our coffee. If not you can cancel anytime. We ship our orders weekly via USPS Priority Mail to ensure you receive the freshest roasted coffee. Any changes to your plan must be made prior to your original anniversary date. Like exactly what you're getting? You don't need to do a thing - we will keep the good stuff coming. It all depends on how much of our amazing coffee you drink. Are you a one cup a day drinker - or are there ten of you guzzling it down all day long? Victory Coffees has a plan for you. Our most basic monthly membership is for 1 person who drinks 1 cup a day (2 x 12oz bags or 30 single cup pods). And yes – it tastes amazing! How do I place an ORDER or GIFT? Just hit the “ORDER” or “GIFT” button and answer a few quick questions. We will take care of the rest of this mission. Are you a larger organization with a ton of troops? Please contact us and we will be more than happy to accommodate your needs.